Lily's Ink Pad: Wild About Life! 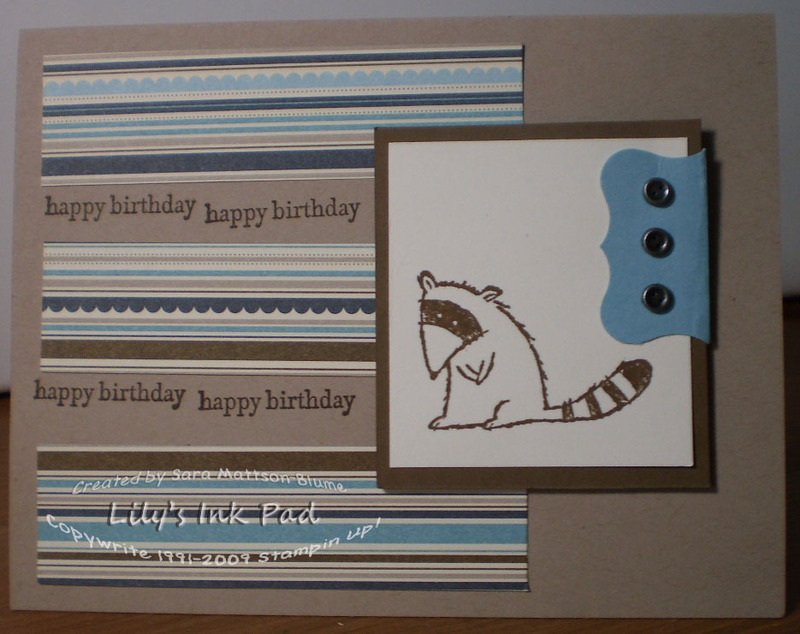 This little raccoon rarely gets his due as the bear and mosquito in this set are way more fun. I decided to use this little guy as my focal point and just use a little bit of my paper (that way I can hoard the rest). What I love about Stampin' Up! (if I am repeating, that's because it's my favorite thing about these products) is the versatility of this paper. 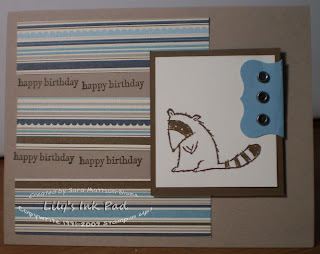 Check out my next post with a wedding card made with the same paper. Today, this paper looks masculine, so I could use for the numerous male birthdays in my life! Later, my paper will appeal to the bride. How cool is that! Also, look closely at those little brads. They are buttons! Very cool.